At Ellis Irrigation we have over 40 years’ experience in matching the right pump for the right application. 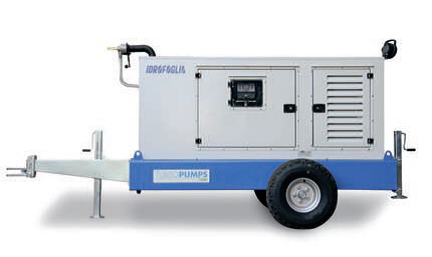 We would match your requirement with the most cost efficient pumping system, be it diesel or electric. We are also an approved stockist of Murphy pump control equipment. We are the sole UK importer of the Idrofoglia Turbopumps range. By directly importing these units, we are able to offer our customers the very best price available. We also use pumps from a range of different suppliers to ensure we exactly match pump capabilities with desired flow rates and demands. STANDARD EQUIPMENT:Total Sound proofed enclosure, two-tyre chassis with incorporated fuel-tank, staker legs, standard electric starting with battery, engine protective panel (in case of oil low-pressure, engine overheating, drive belt break, wa¬ter pressure fall) pressostat, pressure gauge, tacho-meter, hours meters, suction and delivery flanges. Surface pumps for diesel or electric motor drive.